Dawkins Will Forever Be Idolized in Philadelphia! B-Dawk, we’re going to miss you. 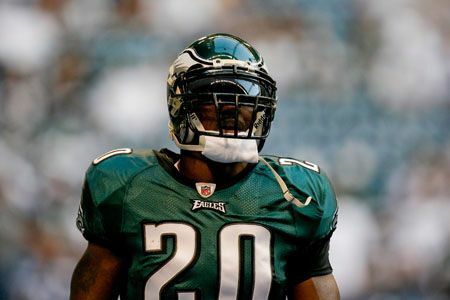 There are few things in the NFL that were as pure as Brian Dawkins’ football instincts. The ability to read an offense before the ball is even out from under center, and then have the skills to react flawlessly once the play is in motion. The lighting-quick moves to fly into the backfield (on several occasions totally hurdling the offensive line), and bring the quarterback or running back down before he could even realize what had happened. The quick-jab down field that resulted in so many highlight reel interceptions. The bone-shattering hits that Dawkins delivered on a regular basis. The fear he was able to strike in opposing players, and the infamous, ‘running back slide’ to avoid taking a hard shot from him. But what defined Dawkins as a player and a person was his leadership. Dawkins was able to change the Philadelphia Eagles defense. He brought not only an immense amount of talent, but also an entire culture to the team. When Dawkins was in Philly, that defense was tough. And not just tough physically, but mentally. He led by example, and the entire Philadelphia team bought into his relentless pursuit of perfection. For 13 years, Dawkins led and rocked an Eagles defense that was on of the most feared in the entire NFL. But, the Eagles and Dawkins had a parting of ways. It wasn’t nasty, it wasn’t ugly, and the two sides didn’t hate each other — but it was painful. Philly fans couldn’t believe that Dawkins was actually leaving, and to see him another jersey was like a knife to the heart. There were countless accusations towards Andy Reid, Jeffery Lurie, and many others about how they forced Dawkins out of Philadelphia. That entire departure from Dawkins is still argued and debated within Eagles circles, and it’s a general consensus Philadelphia made a huge mistake letting him leave in free agency. Even to this day, as an Eagles fan, it’s hard to think that Dawkins ever played anywhere else other than Philadelphia. His mantra, his style, his love of the game — it was just so Philly. Dawkins and the Eagles were a perfect match, and without him, the team still seems so.. incomplete. In Denver, Dawkins was his same ferocious self. And if there would even be any doubt, Broncos fans adopted him as an instant favorite as he continued his amazing career in another city, with another team. However, injuries started to stack-up, and B-Dawk found himself on the sideline than on the field at Mile High. Still, Dawkins made an impact. He coached, inspired, and rallied every single player on the Broncos — even when he was injured. Dawkins is truly an athlete, gentleman, and one of the most inspirational players to ever play the game. Philadelphia will be retiring Dawkins number, regardless of whether he comes back with a one-day contract to go out as an Eagle. Hopefully, B-Dawk remembers back to the passion of the city and realizes the Eagles are the team he wants to retire with. If he doesn’t come back? That’s fine too. The Eagles and the fans will love him just as much as before. He’s truly an idol, a beacon, and is the one player in Philadelphia history that no one is disputed on. He’s Brian Dawkins. 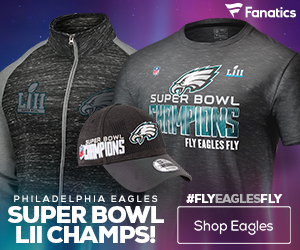 It’s a fact that he was the best player in Philadelphia for his entire tenure, and he quite possibly may be the best defensive player of all-time on the Eagles. This season, when the Eagles inevitably will hold a ceremony to give Dawkins one last send-off, Philadelphia will go nuts. 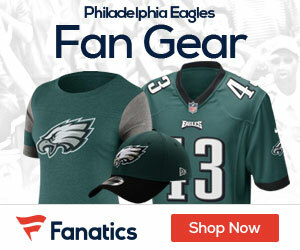 In Donovan McNabb’s return to Philadelphia, he received a standing ovation, but Dawkins will receive a roaring ovation. Brian, congratulations on one of the most impressive careers in NFL history. Congrats on being a lock as a first-ballot Hall of Famer. And most of all, thank you so much for all those years you dedicated to Philadelphia.